Lighting for Gym and Basketball Courts. I ndoor sports activities like Basketball and as well as most gym sports and games require substantial light levels and light quality to deliver safety, however, achieving this with old technology lighting systems is becoming very expense as the cost of energy is costing you a fortune. More than likely, your existing lighting system is either 400-watt or 1,000-watt metal halides, which are very inefficient by today’s standards. 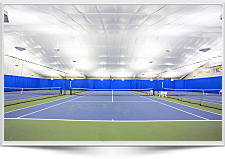 Our T-5 fluorescent Gym fixture is the perfect solution for any sports facility. Most projects will experience a 50% reduction in energy, while substantially increasing the light quality. 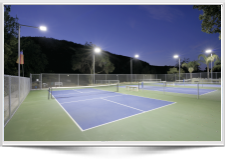 We offer several types of lighting solutions for gym and basketball courts, your existing lighting is likely 400 watt-1000,watt metal halides. 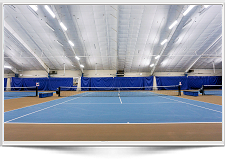 The metal halides fixtures are extremely inefficient in terms of energy use (they typically use twice the energy when compared to the Brite Court T5 HO and LED fixtures, light quality, and light output. Brite Court offers Two lighting solutions; we can provide LED which offers a long life of 50,000 hours or or our T5 HO with a 60,000 hour lamp life.